Mitsubishi Fuso has formed a new division, E-Fuso, dedicated to electric truck and bus development. The move by the Japanese arm of Daimler Trucks follows its launch last month of the medium-duty eCanter, the industry’s first electric truck built on a conventional production line. 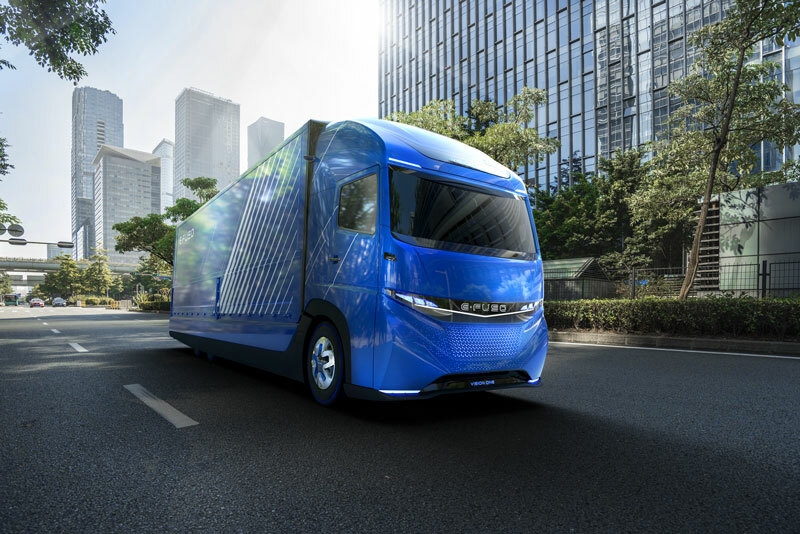 The company also unveiled a prototype all-electric Class 8 delivery truck, the E-Fuso Vision One, at the Tokyo Auto Show on Wednesday. Mitsubishi Fuso Truck and Bus Corp., one of the world’s major truck builders, said it will use the E-Fuso division to pursue electrification technologies. The company said it intends ultimately to offer an electric powertrain version of every one of its truck and bus products. Its first product, the eCanter, is an electric work truck with several body styles including box, flatbed and utility truck. It already is in use in Japan by customers including the 7-Eleven convenience store chain and Yamato, Japan’s largest delivery logistics provider. In the U.S., eCanters have been ordered by delivery giant UPS and several nonprofit organizations in the New York City area, including Habitat for Humanity and the New York Botanical Garden. The E-Fuso concept shown at the Tokyo show underscored what Mitsubishi Fuso hopes to do in the future. “We are facing a dramatic shift” in society, Marc Llistosella, Mitsubishi Fuso’s chief executive, told Trucks.com during the eCanter launch in New York. People “don’t want noise, they don’t want pollution, and pressure for change is coming…Daimler either needs to be part of the team leading that change, or a defender of the status quo, and we must take innovation by the horns and go,” he said. The new E-Fuso Vision One concept is a trailerless or “straight” Class 8 truck with an enclosed cargo area. It is capable of hauling an 11-ton payload – about 4,000 pounds less than the diesel version of a same-size truck of 46,000 pounds gross vehicle weight. 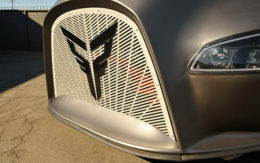 The company said it can be fitted with a range of battery packs with capacities of up to 300 kiloWatt-hours, sufficient for 210 miles (350 kilometers) of range on a single charge. Its initial use, the company said, would likely be for short-haul drayage or intra-city regional delivery work. Acknowledging that development of a healthy market for electric heavy-duty trucks will take “considerable time,” Mitsubishi Fuso said in a statement that it has seen “growing customer interest, infrastructure development and regulatory efforts” to promote electric trucks. Other electric truck makers also are betting on increased awareness of the role electric trucks can play in reducing air and noise pollution form diesel engines. Among companies leading the move toward electrification of heavy transportation are Tesla, scheduled to unveil a battery-electric Class 8 truck on Nov. 16; Nikola Motors, which is developing a fuel-cell electric tractor-trailer combo; Toyota, which is testing a Class 8 fuel-cell electric drayage truck in Southern California; Chinese-backed BYD, which is building electric buses and Class 6 through Class 8 electric trucks in Southern California, and Kenworth, which is developing a Class 8 hydrogen fuel-cell electric truck it plans to launch early next year. Mitsubishi Fuso, headquartered in Kawasaki, Japan, a suburb of Tokyo, builds more than two dozen models of trucks and buses that are marketed worldwide. It has more than $7 billion in annual revenue. The company is a unit of Daimler AG’s Daimler Truck division, the world’s largest truck and bus manufacturer. Daimler also owns Freightliner and Detroit Diesel. 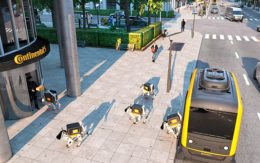 Its move into electric trucks with the new E-Fuso unit is part of a company-wide effort that is likely to see electrification spread to other Daimler truck products – as it already has in the company’s Mercedes-Benz automotive subsidiary.